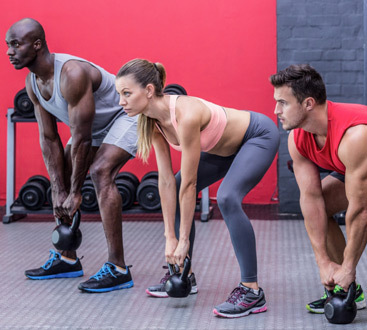 If you’re partaking in the multitude of workout classes Bodyplex Woodstock has to offer, including Bodypump, Bodyattack, Bodystep, and Bodyflow, you may likely be experiencing the lovely after effects of delayed onset muscle soreness (DOMS)! Right when you think you’ve escaped a hard training session with little to no soreness after the first day, DOMS silently creeps in. So, what do you do? How do you manage proper muscle recovery? With a variety of tips and techniques out there, including rest, massage, protein, and rolling out, you are left with so many options — but have you heard of cryotherapy? Cryotherapy, defined simply, is cold therapy. This can mean icing your shoulder or slapping a bag of frozen peas on your knee. To get the most out of cryotherapy, an ice pack can only go so far. To really see and feel results to deep-rooted muscle tissue, like the quads and hamstrings, a profoundly cold environment must be acquired. A deep, frigid climate that will literally chill you to the bone is what you want for muscle recovery. 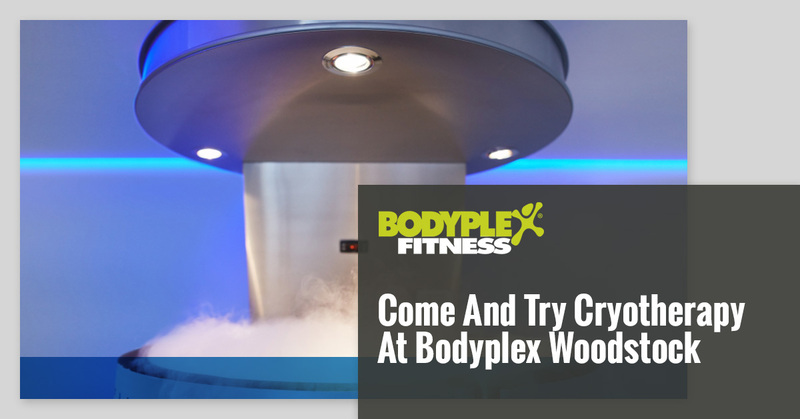 The cryotherapy that we offer at Bodyplex Woodstock is considered whole-body cryotherapy (WBC) — and this is just what your body needs. What does WBC cryotherapy involve? If you’re in to subjecting yourself to arctic temperatures, you can thank the Japanese! This practice dates back to the 1970s with Toshima Yamaguchi, a rheumatologist, who created it for his patients to treat their inflammation. WBC requires the participant to enter into deep-freezing temperatures in a tank-like element. You’ll stand and expose your entire body (minus your head) in the frigid temperatures for several minutes, sometimes reaching -200 degrees below fahrenheit! This device then bathes your minimally clothed body in cold or liquid nitrogen. Your body’s system goes straight into inflammation fighting mode when the cold temperatures are introduced as a result of the cold sensors being tricked, thinking it’s going into a hypothermic state. Your blood vessels are constricted ,reacting to the new stimulus that drives out fluid to help balance pain, inflammation, and swelling. Afterwards, when your normal body temperature returns, your body then reworks the blood and oxygen to redistribute it more evenly for increased cellular regeneration. Why implement cryotherapy into your recovery routine? It helps to increase the rate of recovery to your muscle and joints. It supports inflammation balance in the body. It supports muscle function and strength. 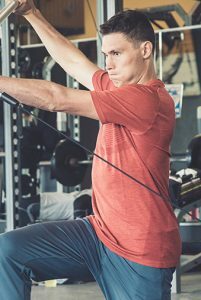 If your workouts or activity involve strength training, refrain from cryotherapy until about an hour after your workout because it gives your body a chance to use the reactive oxygen species (ROS) to help build and increase muscle. If you do cryotherapy too soon after your workout, you can suppress this biological and beneficial process. Recover with us at Bodyplex! 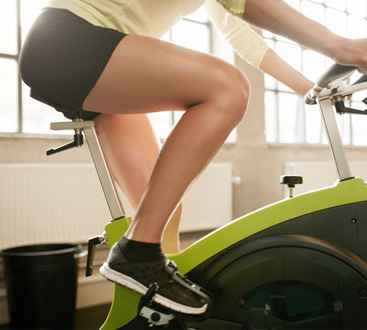 Give your muscles a penetrating shock to move them towards faster recovery! Contact us today about cryotherapy!